Food dehydrators are one of the best kitchen gadgets to save you money. When you dry out certain foods, you can make them last longer, reduce your food waste, and save time in the kitchen. You can also make lots of fun new snacks! Read on to find out five of the best things to dehydrate. If you’re not sure what foods to dehydrate, read our quick guide for some inspiration. Want a healthier alternative to potato chips? Make dehydrated banana chips instead! Chop up some bananas, then lay the slices out on a tray in your dehydrator. Put it on a low setting, then leave them to dry out for around 8 hours. By this time, they’ll still be a little chewy. If you prefer them to be crunchy, let them dehydrate for a few extra hours. Eat them on their own for a quick snack, or throw them into granola or oatmeal to add something extra to your breakfast. Beef jerky is a delicious high-protein snack, but the types you can buy from the store are often loaded with additives and preservatives. That’s why you should try making your own! Get yourself a lean cut of beef, and cut it into slices around a quarter of an inch thick. Then, marinate the beef in your choice of spices to give it some extra flavor. After marinating, put the meat in your dehydrator for around 8 hours on a high setting. It can be frustrating when you buy some fresh herbs only to find they’ve gone bad just a few days later. If you dehydrate them, you don’t have to let them go to waste. Rinse your herbs under some cool water and shake off the excess moisture. They only need to be dehydrated for 2-4 hours, so when you can see the stems starting to break, take them out of the machine. If you like to cook your sauces from scratch, you can dehydrate them to make them last longer. That way, you can keep them in powdered form, ready to use whenever you need them. This will save you lots of time, as well as refrigerator space. After making your sauces, spread them out onto thin layers of parchment paper on a dehydrator tray. Then, leave them to dry out for around 8 hours on a high setting. Apples are one of the best foods to dehydrate for a sweet but healthy snack. All you have to do is wash, peel and core your apples, then slice them into rings. If you like, you can sprinkle them with cinnamon or spritz them with lemon juice. Then, dehydrate them on a high setting for 6-8 hours. 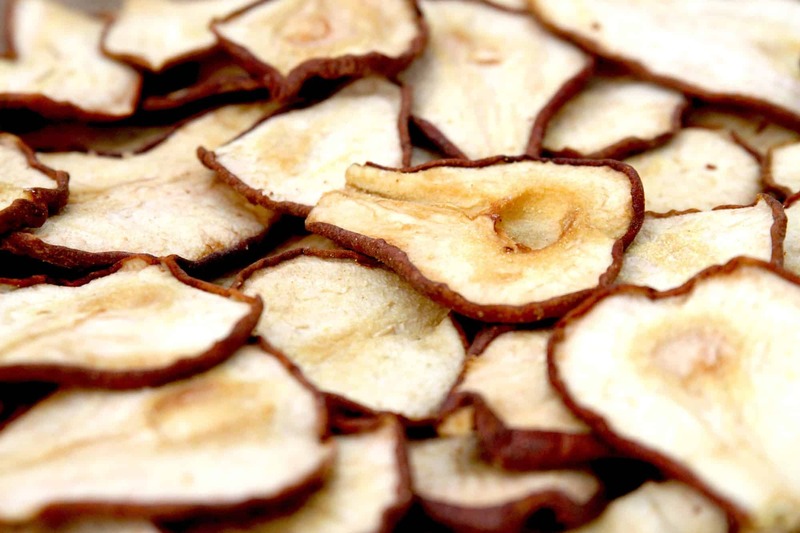 These foods are just some of the best things to dehydrate. Food dehydrators are incredibly versatile, and there are lots of other things you can do with these machines. You can make your own yogurt, dry out flowers, and even ferment your own tempeh. 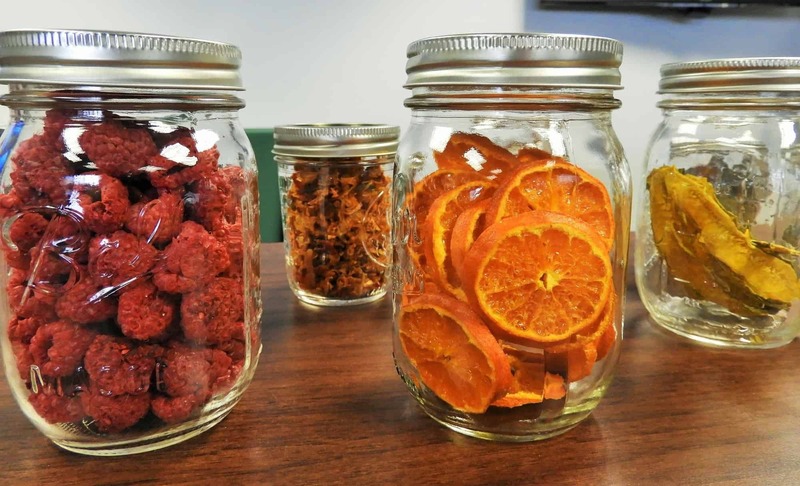 To find out how, read our post on dehydrator uses you didn’t think about.